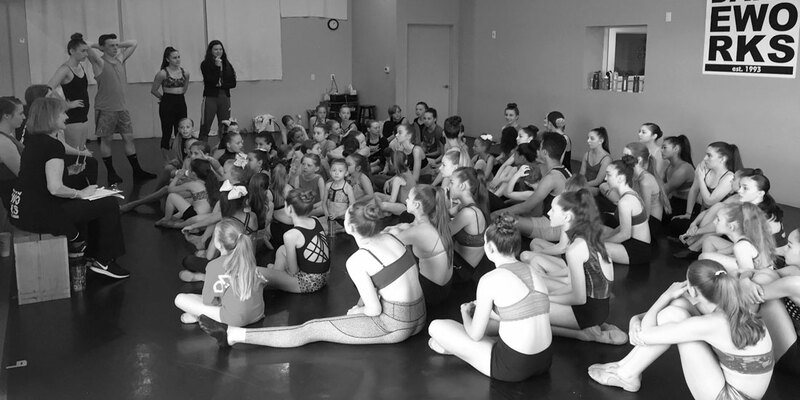 Under Karen’s direction, the Studio’s competition groups have gone on to achieve national recognition at events such as ADA, NYCDA, Onstage, and Tremaine. Karen established DanceWorks Dance Studio in 1993 and looks forward to this season and many, many more. Chris Cannon grew up in Vancouver, WA. In 2009 he received a B.F.A. in Musical Theatre from Point Park University. His performing regional credits include the Pittsburgh Civic Light Opera, Pittsburgh Public Theatre and world premier of Streets of America by Tony Award winner Michael Rupert. His theatrical credits in New York include off-Broadway, national and international tours. At DanceWorks he manages all digital/social media, logistical operations and building maintenance. Lauren Cannon is originally from Vancouver, WA where she received her training at DanceWorks Performing Arts. She attended University of Arizona as a Dance Major before moving to New York City to pursue her professional career. Since moving, she has toured nationally and internationally with West Side Story, as well as in a regional production at Ogunquit Playhouse. She has spent two seasons dancing at Radio City Music Hall in the Christmas Spectacular with the Rockettes and performed with James Corden in the 2016 Tony Awards. Lauren has also been recognized for her choreography across the US and can be seen teaching for New York City Dance Alliance. She is currently one of the featured dancers on the National Tour of WICKED, The Musical. Lacey Ackerman is originally from northern California and has been dancing since she was three years old. She trained in ballet, jazz, tap, hip hop and modern for over 20 years. 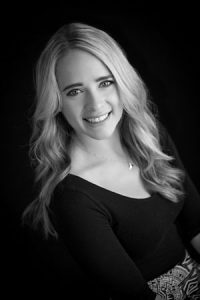 Her career highlights so far include representing the University of Nevada, Reno at the American College Dance Association, performing Cari Cunningham’s Aureate Debris. She received her degree in dance from the University of Oregon in 2015, where she was a member of the Repertory Dance Company. Most recently, Lacey was an instructor and choreographer for Kathryn Howard’s School of Dance in Roseburg, Oregon. She is passionate about dance and aims to be a lifelong learner, taking dance classes still in order to provide the best teaching to her students. Renee’s love of movement and performance began very early. With years of training in voice, dance, and theater, it came as no surprise when she discovered and fell in love with aerial dance. With six years of training under her belt, including two years in A-WOL Dance Collective’s intensive pre-professional training program, she has explored multiple different aerial techniques and styles. Renee is currently teaching and performing in Portland, and loves finding new and challenging ways to explore her art form. Kristalyn Gill, a North Carolina native, graduated from East Carolina University with dual degrees in Dance Performance (BFA) and Interpersonal/Organization Communication (BS) on full-scholarship. She is a choreographer, dancer, researcher, spoken word poet, and self-published author of her poetry collection titled “she was familiar with wars.”Kristalyn has trained with Sidra Bell, Sarah Slipper, Glen Edgerton, Hélène Blackburn, Koresh Dance Company, and BODYTRAFFIC in addition to studying at the American Dance Festival. She has performed the repertory of William Forsythe, Roni Koresh, Emily Schoen, Amanda K. Miller, Anton Lachky, Arthur Pita, and Gustavo Ramírez Sansano. Additionally, Kristalyn has danced in original works by Menghan Lou, Kristen Céré, Joe Cotler, Mark Haim, and Kanon Sapp. In 2014, Kristalyn was a soloist performer at the Alvin Ailey Citigroup Theatre for the American Dance Guild Festival. Kristalyn’s most recent choreographic works have been presented at BodyVox Dance Center and Headwaters Theatre in Portland, Oregon. Her work has also been shown at the WAXworks Showcase in New York City at the Triskellion Arts Center in addition to the American Dance Festival Student Showcase in Durham, NC. Currently, she is a company member of Shaun Keylock Company and 11 Dance Company as well as a freelance dancer and choreographer in the Greater Portland area. Amanda comes to us with over 20 years of experience training in ballet, pointe, jazz, contemporary, modern, aerial, hip-hop and tap. She grew up on her studios competitive dance team where she performed and competed at competitions and conventions throughout the Northwest. She was also a captain and choreographer of her high school dance team. Through dance team she was recognized individually as “Miss Thunderbird” and named a member of the “All Star Team” at the annual award ceremony for the State of Oregon Dance and Drill Association. Amanda continued her training at Glendale Community College in Glendale, California where she received her dance teaching certificate. While there, she had the opportunity to both perform and choreograph various pieces through out the community. She was also recognized as “Dancer of the Year” by her instructors and peers. While living in the Los Angeles area Amanda had the opportunity to perform with local artists in stage performances and music videos, continue her training at the Edge Performing Arts Center and was awarded a summer scholarship from Backhaus Dance Company. Amanda began her teaching career when she was just 16 years old with creative movement and pre-ballet classes at her local studio. She has since gone on to teach and help manage studios in both Southern California and Oregon. Amanda is a member of Lyfe Dance company in Portland, Oregon and is a current member of 11 Dance Co where she performs through out the Portland community. Her goal as an instructor is to give her students the proper dance training they need to go out into the world of dance and feel confident. She also strives to make all of her students feel strong and confident with themselves as performers and individuals. Amanda’s dedication, work ethic and love for not only dance but teaching is clear to anyone that knows her. Brynn Hofer began training in modern and ballet in Washington State at Isabelle’s Dance Time. Soon after, adding jazz, contemporary and partnering technique to her studies. Brynn attended Western Washington University under scholarship and received a BFA in Dance and choreography. She graduated with honors and was the recipient of the outstanding graduate of the year award. While in college she danced works by Penny Hutchinson, Susan Haines, Nolan Dennett, and Richard Merrell, as well as performing with the Mt. Vernon Opera. Brynn was selected two years in a row, to perform a restaged work by the Liz Geering dance company. In 2015, Brynn moved to Portland and joined Polaris Dance Theater as a company member. She has danced works by Robert Guitron, Briley Neugebauer, Barbara Lima, and Kiera B-Geeter. She has since co founded her own contemporary dance company, Horizon3 dance, with fellow dancers Gerard Regot and Melanie Verna and has had her work performed throughout Oregon and Washington. Brynn’s true love is teaching and setting work. She has been a guest choreographer throughout Portland, and in Washington and Alaska. She loves the opportunity to work and encourage students to grow and find their full potential, and loves being part of the DanceWorks family. Alyssa started dancing at DanceWorks when she was three-years-old. At 16, she moved with her family to Seattle where she had the opportunity to experience other instructors’ styles of dance. She has had roles in the ballets “The Nutcracker,” “Alice in Wonderland,” and “Cinderella.” Alyssa is currently at WSU Vancouver pursuing her degree in Childhood Education. Jennifer started tap dancing at age 6 after falling in love with the art form. She competed in local and national competitions and was a part of a national championship winning group during her tenure in competitive dance. She has participated in many tap festivals including the Vancouver BC Tap Festival, and the Chicago Human Rhythm Project. She also had the opportunity to travel to Edinburgh, Scotland to participate in the annual Fringe International Arts Festival. Jennifer was selected to perform in an International Choreographers Showcase in Guatemala City, Guatemala, which is her personal highlight of her tap dancing career. Jennifer is currently a member of Beat Bangerz, a Portland, Oregon based professional tap dance company and is very active in the Portland tap community. Jade started dancing at Danceworks when she was three years old studying all genres of dance. At the age of fifteen, she started competitive cheerleading and working with the National Cheer Association on the stunting and tumbling teams. Traveling to Washington and Oregon’s top colleges to teach Cheer and dance conventions. While keeping her acro, dance, and cheer alive she completed a Visual Communications degree at The Fashion Institute of Design and Merchandising. Julia is a graduate of the Rambert School in London and has spent the last 5 years dancing around Europe and Israel. She is back in the Northwest and very excited to reconnect with the dancers here! Most of Julia’s training has focused on classical technique under Russian teachers, however, she is also well versed in contemporary dance. Julia enjoys working with students of all ages and abilities and focuses on a clean, classical approach that emphasizes covering space and traveling beyond one’s comfort limits. Jennifer Maxwell-Ramirez was awarded her Bachelor of Arts in Human Development from Washington State University in Vancouver in 1998 before going on to earn her Masters in Teaching from Washington State University in 1999. She has been awarded 9 scholarships for dance and performed across the United States from 1986-2000, and has taught students in the classroom for 18 years. Currently she teaches the fourth grade for the Evergreen School District. She lives in Vancouver, Washington with her husband and two children. Dancing her way through life, Tiffany Schmeling was already an accomplished performer when she was introduced to choreography at age 13. She has nearly 30 years of experience in a variety of dance styles including, but not limited to modern, tap, jazz, ballet, ballroom, acrobatic, and hip hop. Studying and tutoring under the guidance of award-winning Schell School of Dance, Tiffany holds such titles as Miss Dance USA, and has performed with choreographers who have contracted with such names as Michael and Janet Jackson. A former member of the Portland Dance Project, Tiffany had excelled so much that her next roles included performing in Las Vegas and a principle dancer for Carnival Cruise lines. In addition to performing, Tiffany has produced and directed multiple production shows as well as been a coach and teacher in competitive studio, school dance camps and teams, battle crews, and with professional production companies. Tiffany is extremely passionate about her work and loves the art of dance. She is always looking for ways to keep this passion and love for dance alive in her life. For Tiffany, any opportunity to dance, coach, consult or mentor that presents itself is a welcomed blessing to be seized upon. Darcy Schmitt has been teaching choir for 33 years throughout the PNW. Currently she teaches 5 choirs, is the vocal director for the Prairie and Battle Ground High Schools musical productions, and is a voice teacher and vocal coach at Opus School of Music in Ridgefield, WA. An established jazz vocalist, Darcy has performed with vocal quartet Pure Imagination for 10 years, appeared in commercials, and performed in night clubs and festivals throughout the PNW. Darcy has worked with many artists, notably: Jim Fischer, Diane Schuur, the Woody Hite Band, the Portland Symphonic Choir, and Art Abram’s Swing Machine. Stacy Staples started dance at age 7 in Vancouver, WA and began her teaching career at 15 years old. She’s taught and choreographed for 4 studios including Vancouver City Ballet, holds a Cecchetti teaching certificate and was on Battleground high schools dance team. Married to Todd, they have three children together, Addison, Charlie and Huck. Stacy loves working with younger students and seeing them discover a love for dance that she discovered as a kid as well as adults who are trying dance for the first time. A third-generation theater professional, Claire Verity grew up in and around the entertainment industry. Her career as dancer and actress took off when she was a teenager performing with the Pennsylvania Dance Theater. Since graduating from the Penn State University theater program, Claire has appeared in: plays, musicals, commercial and print work, and national television. After moving to the Pacific Northwest (PNW), Claire discovered a passion for teaching. She built an award-winning theater program at Prairie High School in Vancouver WA, where she trains young actors. Her students appear in professional theater, film, national television, commercials, modeling, and print work. They have a reputation in the industry for being true professionals.